When Lisa Halter started her own real estate agency in 2014, she did it with a clear mission—to open a "kinder, gentler real estate office." She brought over 15 years of experience in Hudson Valley real estate and a forward-looking approach to Halter Associates Realty. In just four years, the company has expanded to 27 agents. In addition to their empathetic, client-centric ethos, Halter agents leverage advanced digital marketing capabilities and hyper-local market knowledge to buy and sell faster and smarter. Halter's experience isn't limited to the realm of real estate. Prior to selling homes, she worked for over two decades in digital marketing and graphic design, earning awards for campaigns in London and New York City. That digital marketing edge and keen eye for design aided Halter in meeting the modern demands of clients once she broke into real estate. Halter has no plans to rest on her laurels now that Halter Associates is thriving. Her long-term goal "is to continue to grow and serve our community, and our agents, while maintaining an open line of communication with our buyers and sellers," she explains. Halter understands that buying or selling property often accompanies a major life change, which needs to be handled with care. "It's all about transitions in our lives, whether it's a household growing with the birth of a child or the death of a loved one," Halter says. "Although we are in sales, we need to be so much more for our clients, to help them through their life changes in a thoughtful and meaningful way." Ulster County real estate is the bread and butter of Halter's business, and thanks to the area's abundance of natural beauty and charming towns, it's an easy sell. Marbletown is one such picturesque community. Situated less than 20 minutes from Kingston, Marbletown encompasses the hamlets of High Falls and Stone Ridge, known for their idyllic locales along the Esopus Creek, farm and flea markets, wellness centers, dreamy B&Bs, and Stone Ridge's Main Street Historic District. 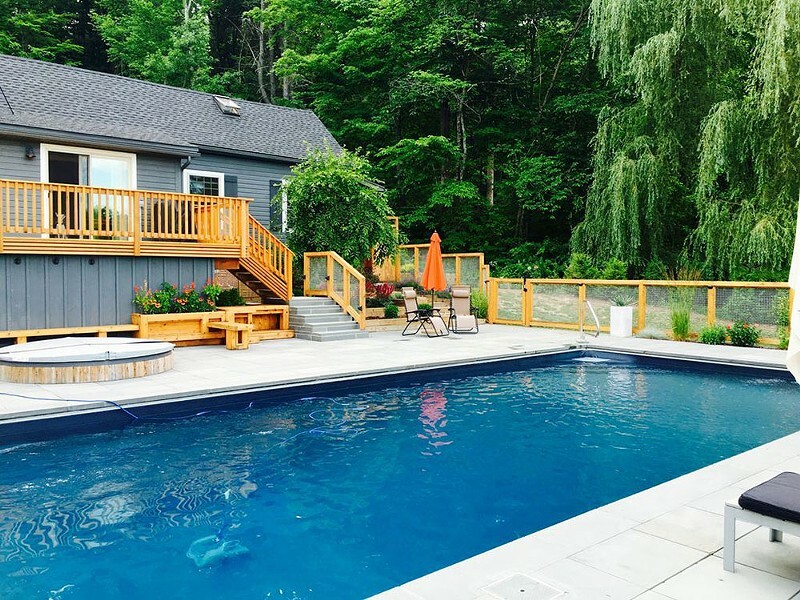 This country-meets-modern home is on a quiet country road just down the street from the Marbletown Town Park, with its pavillion, playground, and soccer fields. 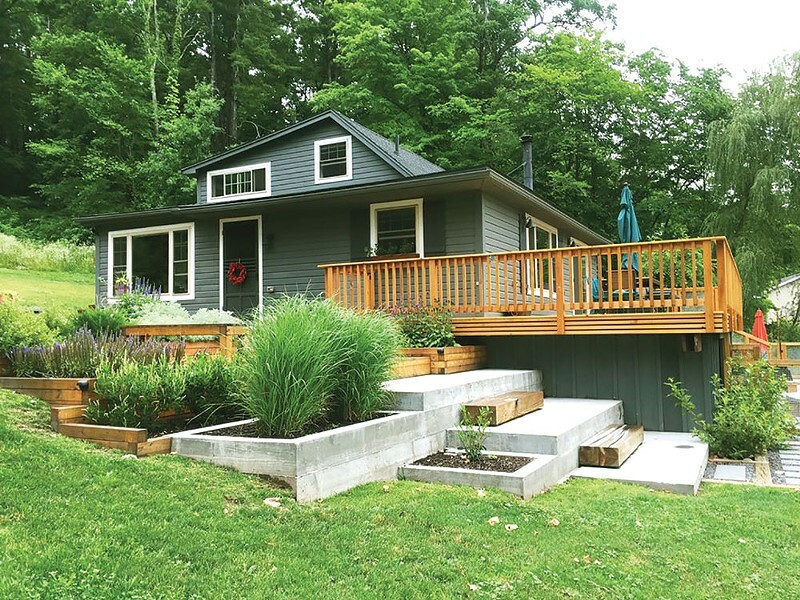 Originally built in the 1940s, the three-bedroom, two-bath cottage sits on 2.5 acres of land that's a slice of Zen-like paradise perfect for relaxation. 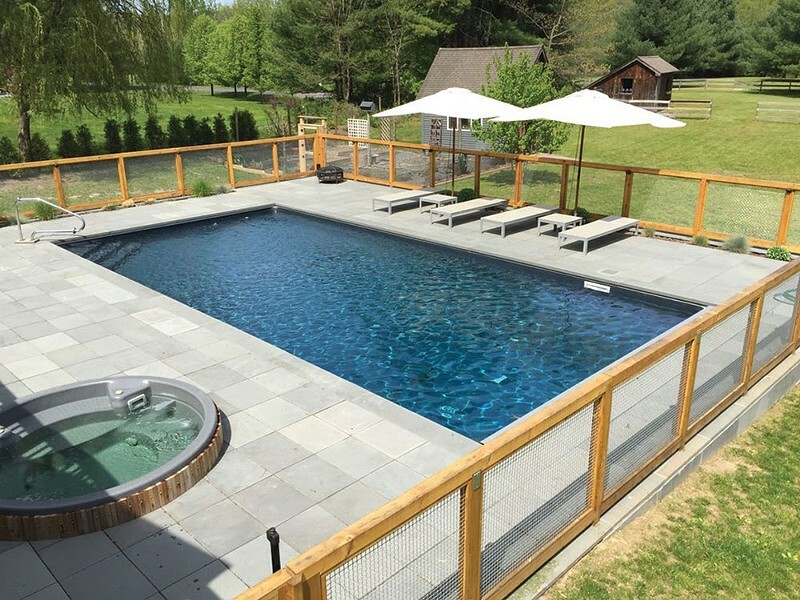 The grounds include a brand-new heated, saline pool with a retractable cover, a six-person hot tub on a bluestone patio, a cedar outdoor shower, a koi pond, fire pit, and organic garden with raised beds. That's just outside. The 1,886-square-foot interior features a host of modernized amenities, including a custom kitchen with granite countertops, a butcher block prep island, stainless steel appliances, and a wine cooler cabinet. The open-concept floor plan smoothly combines kitchen, dining, and living areas, and is well-suited for entertaining, with cedar plank and hardwood floors throughout. The first floor includes an screened-in porch, as well as a laundry room and additional full bath. On the second floor, the master bedroom is an oasis within the home, separated from the rest of the rooms and adjoined by a private meditation room. 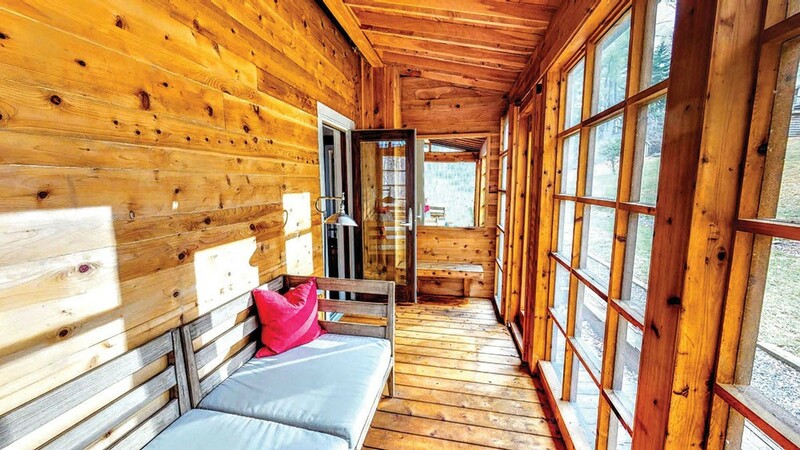 All three of the home's bedrooms are bathed in sunlight from skylights and large windows. Throw open the sliding glass doors, step out on the wrap-around deck in full view of the new pool, and consider yourself at home. Listed at $659,000, this is a turnkey haven with every indoor and outdoor luxury you could want. Visit the Halter Realty Associates website for more information.